I didn’t want to take the chance that somebody ends up missing this story because it’s freakin’ hilarious. In a nutshell, the “White House Conference on the Economy” was held this week, intending to show off Bush’s financial agenda. Whether or not this goal was actually accomplished, they did manage to provide some funny blog material. As a side note, this incident also inspired me to find out how many of our educational institutions pride themselves on good spelling…. Here are some colleges that mispelled challenges. 885 results, that’s pretty sweet. 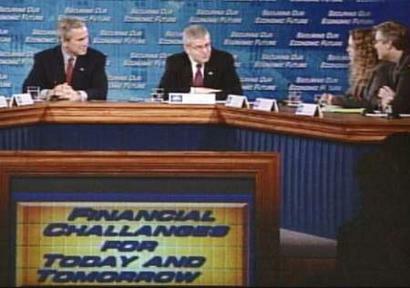 "Financial Challanges" by Jeremy Felt, unless otherwise expressly stated, is licensed under a CC BY-SA 4.0 International License.